We offer smart services and reliable products which simplify and streamline our customers’ business processes. We offer you products for handling Supply Chain Management and sourcing of business-critical systems with leading specialist expertise in the Nordic region for modernising IBM i and IBM z applications. Business requirements can change and the companies’ needs have to be met. We help you to create a digital continuity with a secure IT environment, maintenance, administration, AMS (Application Managed Services) and, of course, a high level of business value. Modernization is the most cost-effective way to ensure an extended lifecycle of an operation-critical system. With the help of our expertise, your system will be easier to maintain, further develop and meet today’s and future business requirements. 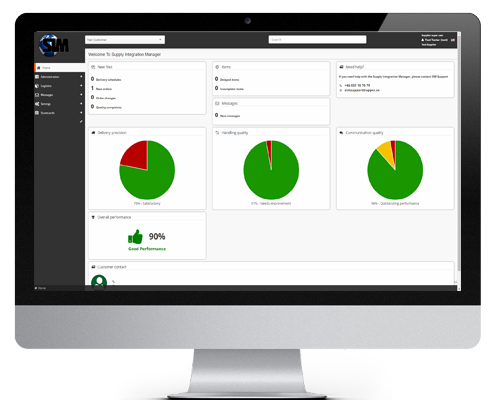 We offer an easy-to-use platform for streamlining and standardising communication between customers, suppliers and hauliers – Supply Integration Manager SIM.